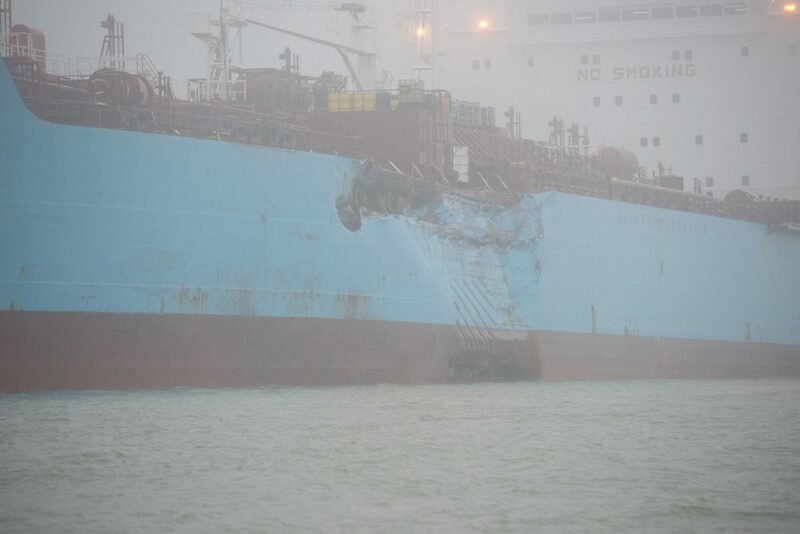 Some new photos released Monday night by the U.S. Coast Guard show damage to the chemical tanker Carla Maersk and Conti Peridot bulk carrier after colliding Monday in the Houston Ship Channel near Morgans Point, Texas. 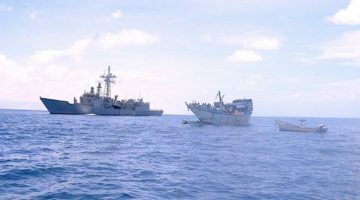 The Carla Maersk was carrying about 216,000 barrels of Methyl Tertiary Butyl Ether (MTBE) when the collision occurred in dense fog, causing an unknown quantity of the product to spill into the Channel. The U.S. Coast Guard shut down the Houston Ship Channel between light 86 and Morgan’s Point. gCaptain’s previous coverage of the incident can be found HERE. 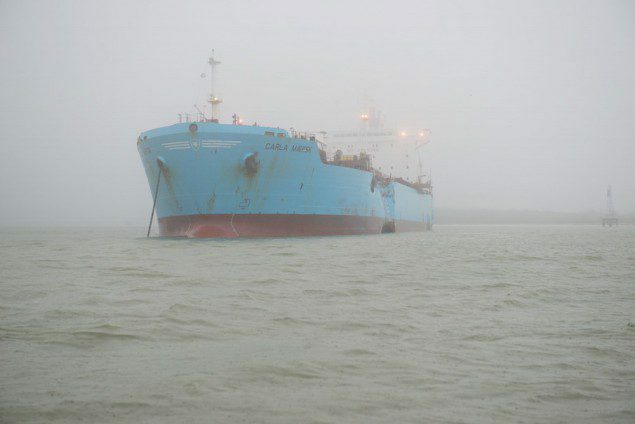 The chemical tanker Carla Maersk sits at anchor off Morgans Point, Texas, after being involved in a collision with the bulk carrier Conti Peridot March 9, 2015. The bulk carrier Conti Peridot sits at anchor off Morgans Point, Texas, after being involved in a collision with the chemical tanker Carla Maersk March 9, 2015.